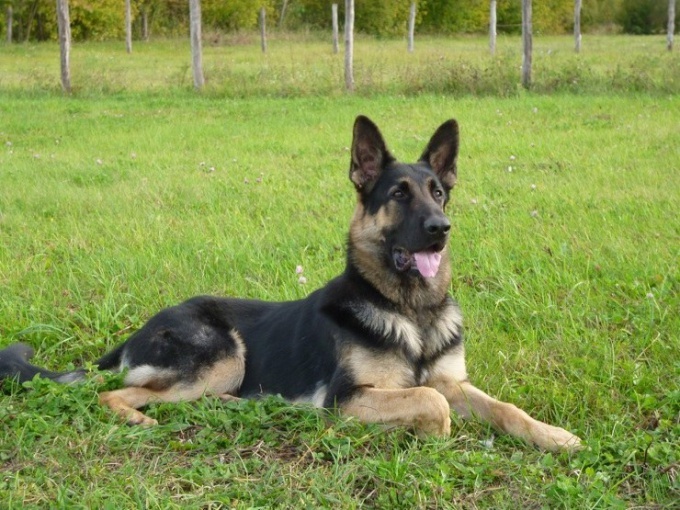 The East European shepherd – one of the most popular breeds of dogs. This is a great caretaker and protector, and companion, whom you can be and families with young children. But the qualities that initially laid in the representatives of this breed, you need to discover and develop through education and training. Training and raising a puppy begins with 2-3 months, almost immediately after he appeared in your house. You must decide for yourself what kind of training you need. If you are going to put the dog, can use less formal instruction and training to undertake yourself, particularly when matching skills you already have. In that case, if the dog is scheduled to present at exhibitions, it is better to visit with her special classes, individual or group, where the main course of training it will be under the supervision of an experienced instructor. This is required if you want to have your dog "work" as a guardian. In the case when the role of trainer you have undertaken, should immediately clarify that, despite innate intelligence, a dog will rarely understand everything the first time, so you need calm and patience. You also need to understand that no shouting, no raising your voice you will not increase the efficiency of perception of the teams the dog's excellent hearing, they will hear you. Therefore, the atmosphere in the classroom should be businesslike and calm, in this case they will have fun and you and your dog. Needless to say that in such an atmosphere, in 4-5 months you will easily be able to master the basic training course. The first classes should be conducted in an atmosphere of maximum comfort for the animal when he will not be distracted, then they should be held in any conditions and in any weather. Time of classes before feeding, when the incentive reward – a treat, is for the puppy of interest and is a good incentive for proper implementation team. You should know that East-European shepherd has an innate tendency to expand the boundaries of what is permitted – they will always test you. So a steady hand and inflexibility in the requirements should be the main elements of education, especially in the period of self-determination, when the dog tries to understand its status in the pack, which is your family. Your goal is to get her to obey you, but not because she's afraid, but because you are the authority, and she likes to show you his ingenuity and ability to accomplish what is required of her. Encouragement and affection – the basis of the process of training dogs of any breed.